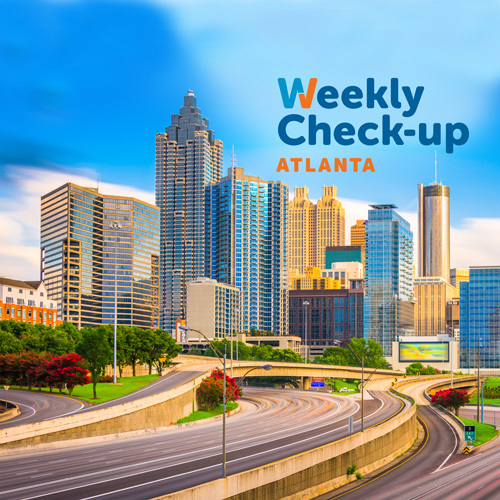 This week, Dr. Thomas Lyons of DeKalb Medical will join The Weekly Check-Up to discuss female health, specifically gynecologic surgery. Thomas L. Lyons, M.D., of the Center for Women’s Care & Reproductive Surgery in Atlanta has been awarded the 2013 University Of Georgia Graduate School Alumni Of Distinction Award. He is one of only eighteen recipients selected for the first class of honorees. Raised in Atlanta, Dr. Lyons graduated from Georgia Military Academy, now Woodward, before attending University of Georgia. While playing football and wrestling for the Bulldogs, he earned his bachelor’s and master’s degrees in clinical biopsychology. He received the NCAA postgraduate scholarship and was a National Football Foundation Hall of Fame Scholar athlete in 1971. He played six seasons for the Denver Broncos, from 1971-1976 and simultaneously attended the University of Colorado medical school full time. 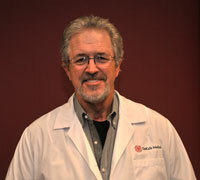 He worked in Athens from 1981-1993 as an OB/GYN. During this time he was the team physician for the Lady Dogs athletic teams and received the Glada Gunnells award for service in 1991. Dr. Lyons is considered a surgical pioneer and has received numerous awards for his breakthroughs in gynecologic surgery since 1980; he authored the LSH procedure, or Laparoscopic Supracervical Hysterectomy. He also developed the Laparoscopic Burch procedure for stress urinary incontinence. His areas of research include both alpha and beta site activities involving surgical devices and procedures, multiple activities in the area of adhesion prevention, endometriosis, tissue removal, vascular occlusion, dysfunctional uterine bleeding, managing menopausal symptomology, and female surgical sterilization. In the last three decades, Dr. Lyons has also become known as an expert in the diagnosis and treatment of endometriosis. He has dedicated his career not only to women’s healthcare but also to the education & training of gynecologists, particularly in the area of minimally invasive surgery. He has been a participant in numerous academic and clinical studies and authored more than 150 scholarly publications, and is the author of WHAT TO DO WHEN THE DOCTOR SAYS IT’S ENDOMETRIOSIS, Everything You Need to Know to Stop the Pain and Heal Your Fertility. Dr. Lyons is an Adjunct Assistant Professor at University of Georgia School of Veterinary Medicine, Clinical Associate Professor at Emory University Medical School, and Honorary Professor of Kulakov Insitute for Perinatology & Gynecology Moscow, Russia, Director Southeastern Institute for Endoscopic Laser Surgery, Atlanta, GA, and Director from 1997-present of AAGL/ SRS fellowship in endoscopic pelvic and reconstructive surgery.